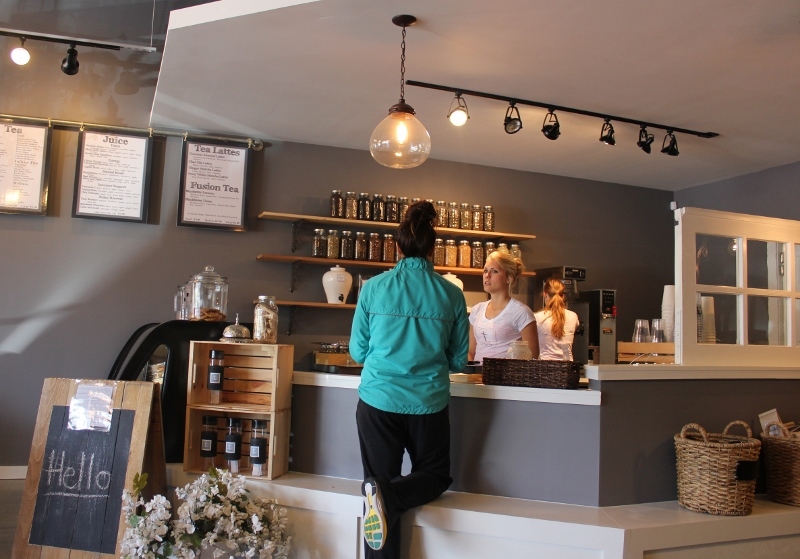 Two of my favorite things, fresh juice and gluten-free baked goods, are now available in one beautiful spot in South Kansas City. I like this spot so much that you won’t get an even-handed review from me. I’ve got nothing critical to say, just a recommendation that you visit SOON. 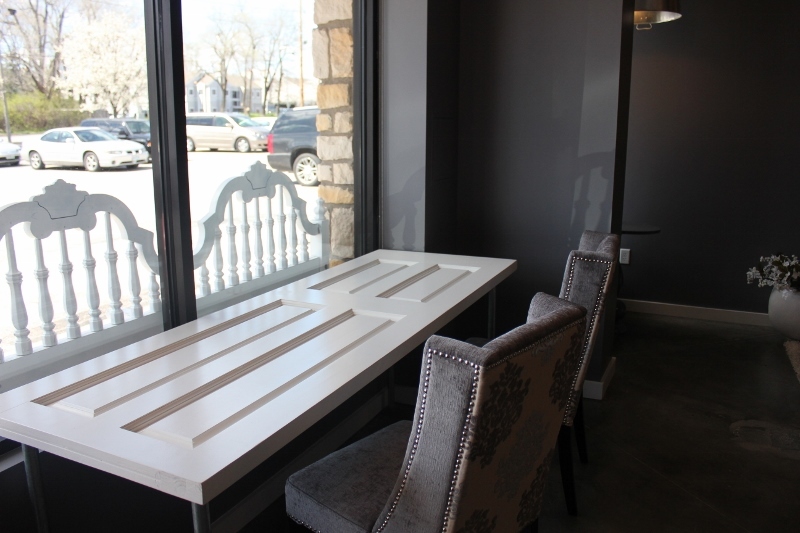 T. Loft is located in a small strip mall, close to a QuikTrip gas station. 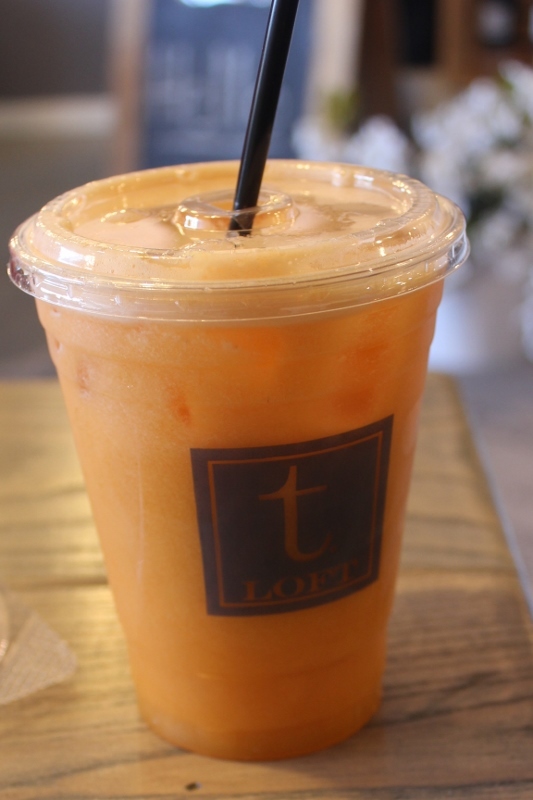 In an area full of sandwich shops and fast food joints, T. Loft is sort of the opposite. Healthy eats, tea, juice, no drive-thru. Everything this girl digs! It’s comfortable inside, sit and chat. How about a beautiful cheese and fruit bowl? 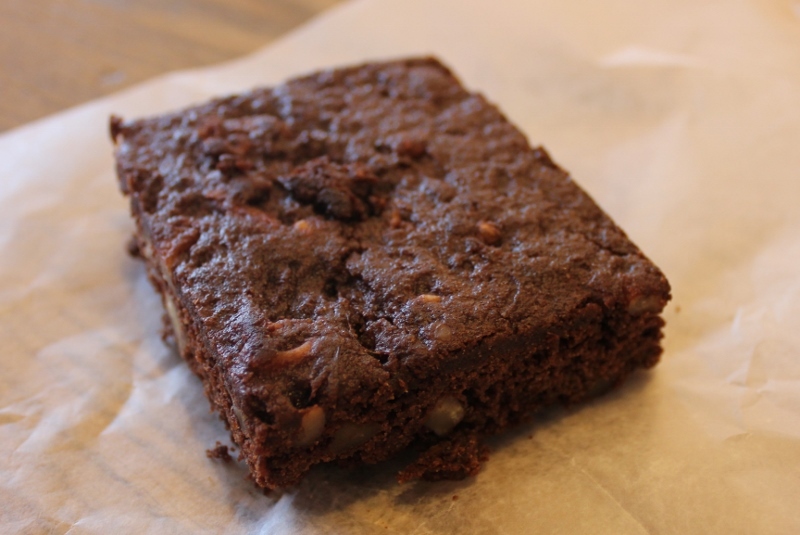 Or maybe you’d like a gluten-free sweet potato brownie? Perhaps a chocolate crinkle cookie? 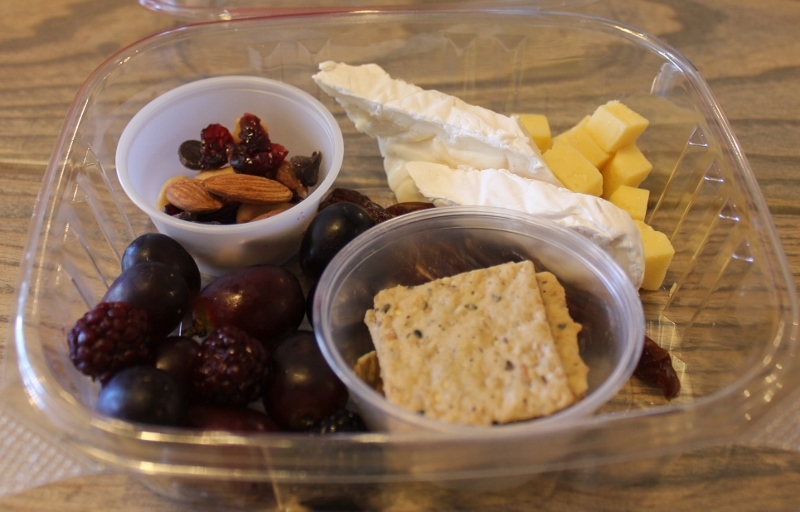 Here’s the really great part: salads, healthy snacks and more are packed for grab-n-go. So what I said about the area being filled with fast food restaurants? 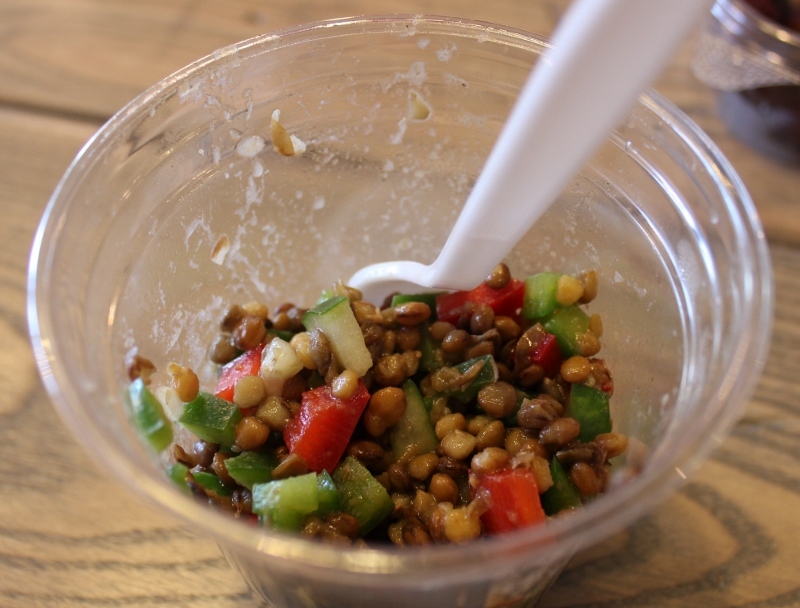 It’s possible to run it and grab healthy fast food. I love this! The decor is inviting. The bench that runs the length of the building is adorned with pillows, it’s perfect for chatting with a friend while having a tea. There’s also a cozy seating area with a sofa. 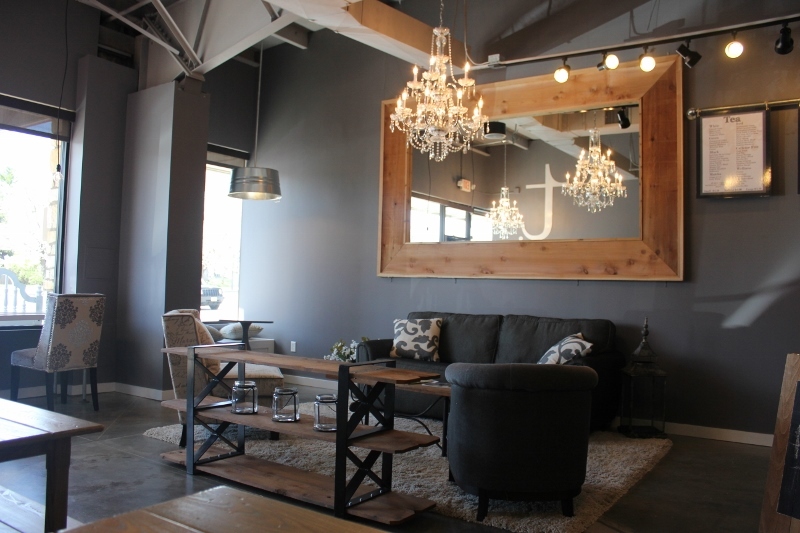 The light fixtures include galvanized washtubs converted into light fixtures and sparkling chandeliers. There’s a counter with a few seats at the front crafted from a reclaimed door. The baked goodies here are all labeled with ingredients. That’s so handy for folks like me with some dietary stuff going on. The juices on the menu list the ingredients, so you know what you are getting yourself into. When I asked about salads and dairy, it was quickly mentioned that if I wanted a salad that wasn’t in the salad case without cheese, they would gladly make one. Eating well is easy here for me! Everything here is gluten-free, so no worries there. How nice is that?!? 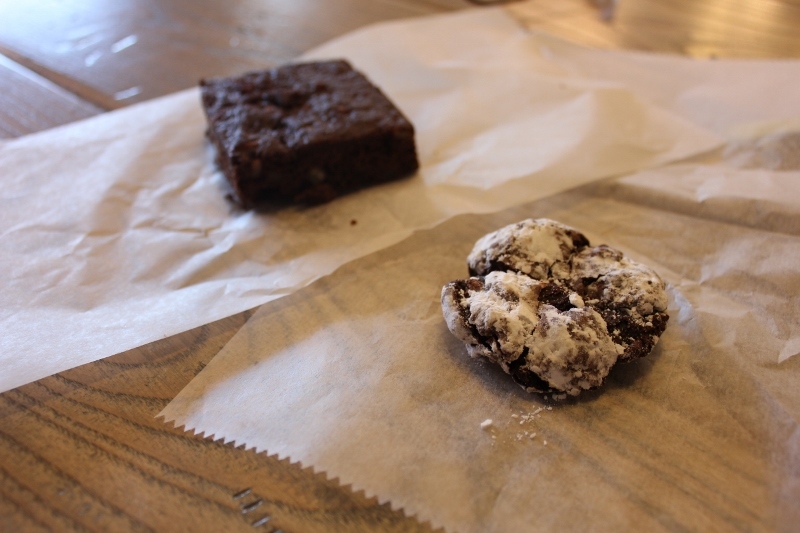 I sampled the brownie and the cookie I mentioned earlier and both were good. None of that funky gluten-free taste that causes me to avoid many gluten-free desserts offered at restaurants. It’s great when a business owner lives gluten-free and understands the challenges we face eating out. Big contented sigh of happiness here! That said, there’s no reason only gluten-free people can eat here and enjoy it. The food is tasty and was enjoyed by my gluten-full friend who met me here. There is also tea here, although I didn’t sample any. At least not yet. Something like 30 varieties of tea are offered, but you know I stopped at the juice. If there’s juice with kale in it, not tea will stand in my way. But I will try the Coconut Almond Latte next time. If you’d like to read more about T. Loft, there’s an article here and a few Yelp reviews here. Perhaps the authors were more critical than I’m able to be. I just can’t find anything to not like about this place, except that I have to drive 30 minutes to get there. 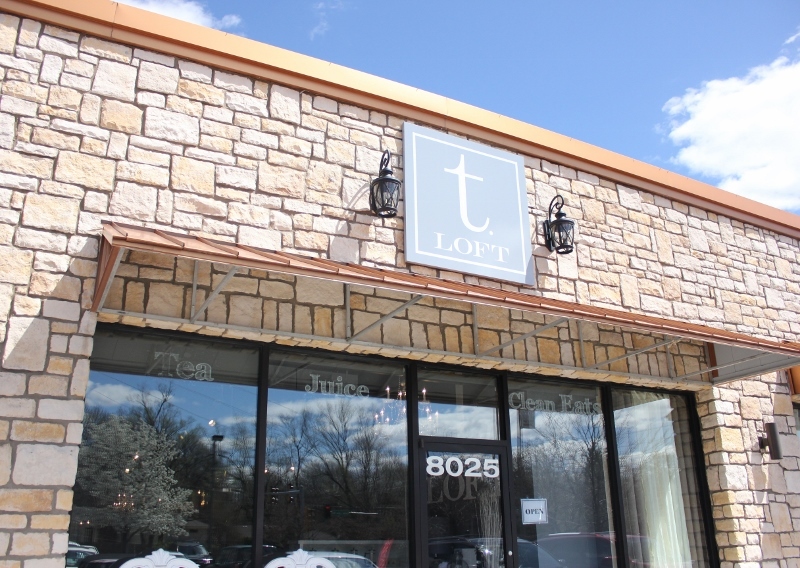 T. Loft is located at 8023 State Line in Kansas City, MO. At the time this was written, their hours were 7 days a week, 7 a.m. to 7 P.M.
Eat With: Wild Abandon! Folks understand gluten-free here and also seem to have a handle on sharing ingredients so you know what’s ok to eat. 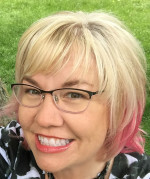 I ate and enjoyed tea at T.Loft recently with my daughters, and we loved it. I was sad today when I returned, though, because they watered down my tea from the tap, sloshed it as they carried it to the counter, and then served it to me. Don’t know if I’ll risk a third visit now. Disappointed. Oh goodness, that’s disappointing to hear. I hope you let them know so they had a chance to make it right?